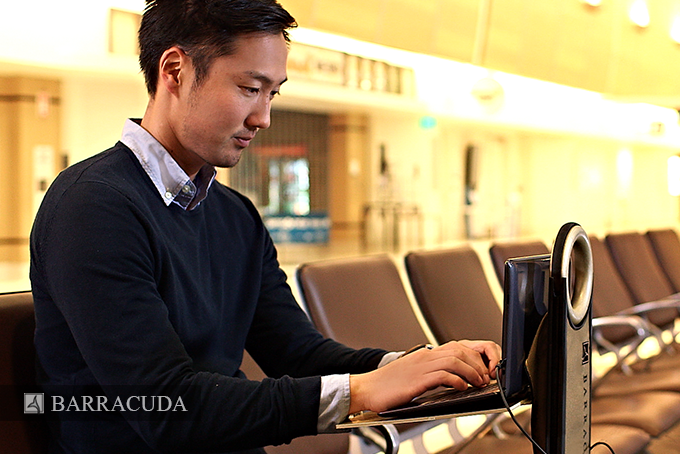 Designed by Idea Potent for business travelers who need to work while in transit, Barracuda offers tech and practical features including a laptop tray, GPS tracking and USB charger - upgrading the travel experience to premium class. In a matter of seconds, the Barracuda can be folded down and placed under a couch or bed - it’s as quick and easy as folding up and putting away a beach towel. 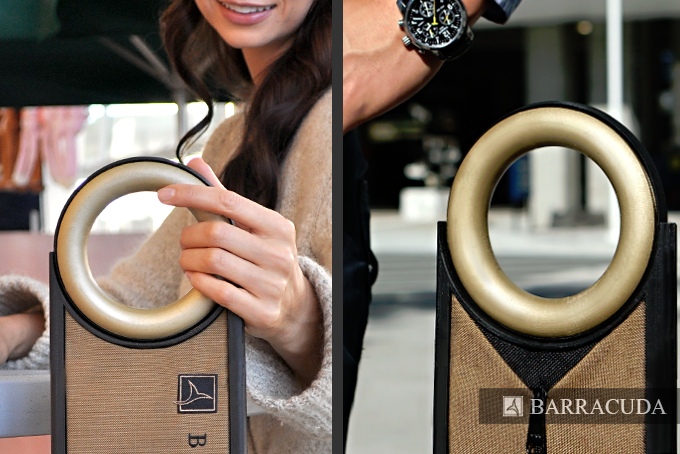 Barracuda luggage, the new fully-collapsible carry-on with built-in tray, ergonomic swivel handle, advanced GSM-GPRS technology, easy open flap and USB charger, has officially launched on Kickstarter and is available for pre-order. Barracuda’s distinctive design includes exclusive features, both technological and practical, to enhance the travel experience. 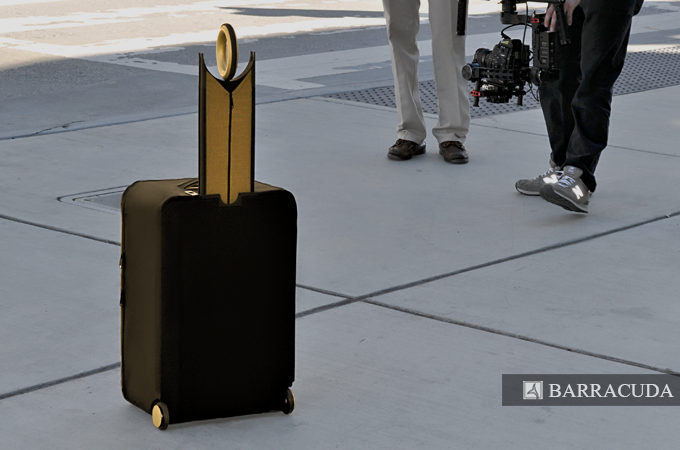 “We set out to design a carry-on that makes business travelers’ lives easier and gives them the features they need and want,” said Boban Jose, co-founder of Barracuda. “We conducted a survey and used those results to design a carry-on for the individual modern go-getter,” added Kiran Bhogadi, co-founder of Barracuda. 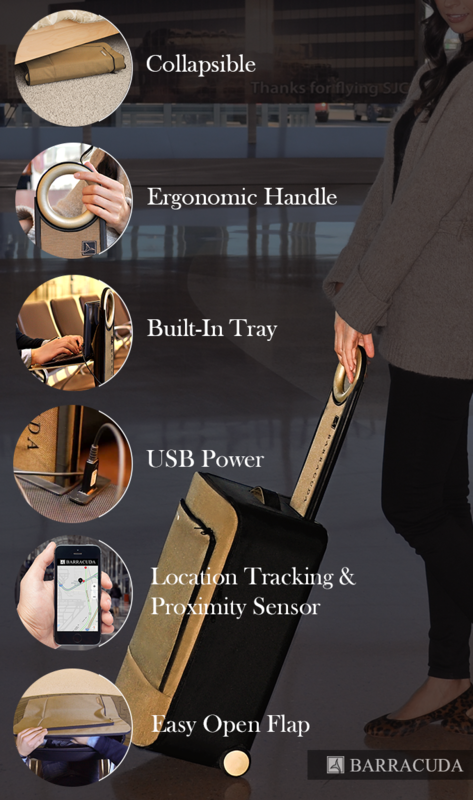 The unique carry-on features include advanced location tracking, a USB charger to power-up smartphones, tablets and gaming systems on the go, a choice of a built-in tray or handle pouch and a one-of-a-kind ergonomic handle. The revolutionary ergonomic handle will give Barracuda owners 360-degree unrestricted smooth movements in all directions. 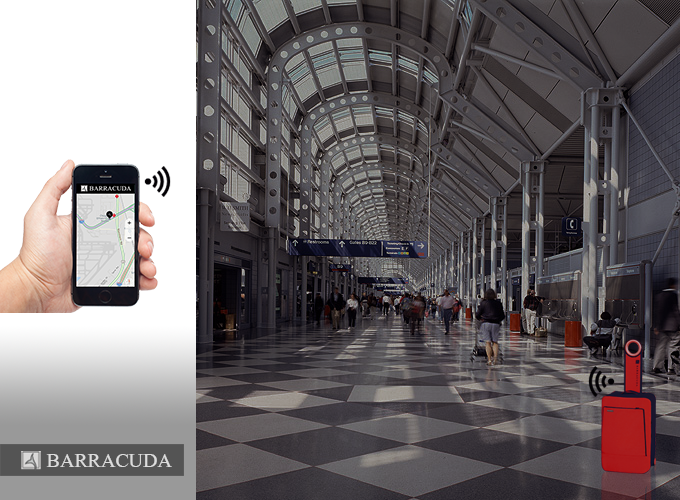 Barracuda utilizes advanced GSM-GPRS technology for location tracking. Unlike GPS which needs open skies to work this technology relies on mobile networks so any connected device can be used to track the location of a Barracuda. 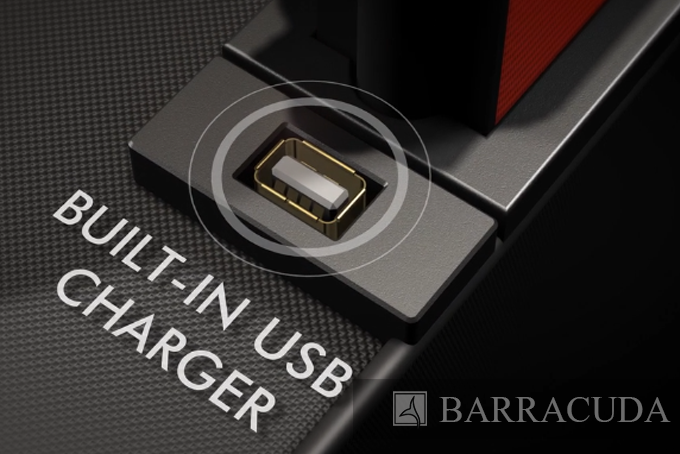 The Barracuda also comes with an easy-open flap, making it simpler than ever to quickly open without having to do a full zip around the whole luggage. This gives owners quick and convenient access to grab items on the go. 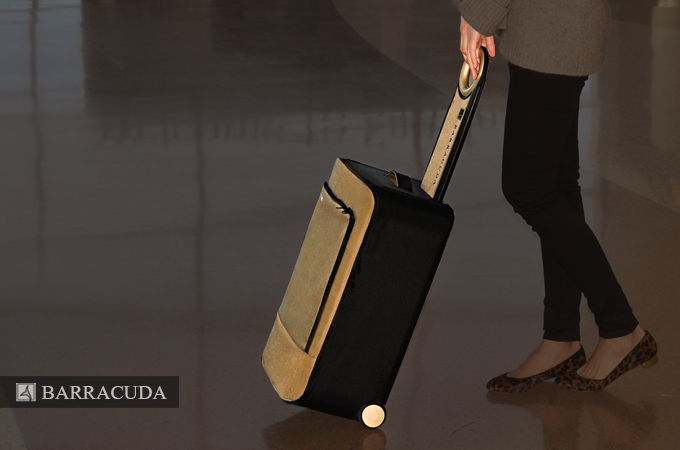 Barracuda's built-in adjustable tray unfolds from the unique handle design for a laptop or lunch tray or to just rest items like gadgets on while waiting for the next flight. When travelers arrive at their destination, home or apartment, Barracuda is a space saver because it can be stored under a bed or in any tight spot. The Super Early Bird Special (up to max 50) includes the customer’s choice of a blue, red, gray, or gold Barracuda with an adjustable tray for $145. Once sold out, the next Early Bird Special will be available for $190. Barracuda is also offering three other reward options that feature 35% off the retail price. Barracuda is now available on Kickstarter and will run until May 29, 2015. Idea Potent turns fresh ideas into great products. The company is founded on the philosophy of bringing the culture of fast paced innovation from Silicon Valley technology start-ups to other not so high tech parts of everyday life.